I am a graffiti artist with 30 years experience. I hold current enhanced DBS and Public Liability Insurance. I devise and deliver community based art projects, sharing my skills and knowledge of the history of graffiti art to as many people as possible. I strongly believe graffiti art can support the development of literacy skills in people of all ages. Graffiti painting with the community uses team building skills that create opportunities for intergenerational communication and understanding. Two major art works devised constructed and installed by Last Legs. Commissioned by Horizon Blackpool to work in collaboration with the Art of Recovery group and community members of Grange Park Blackpool. 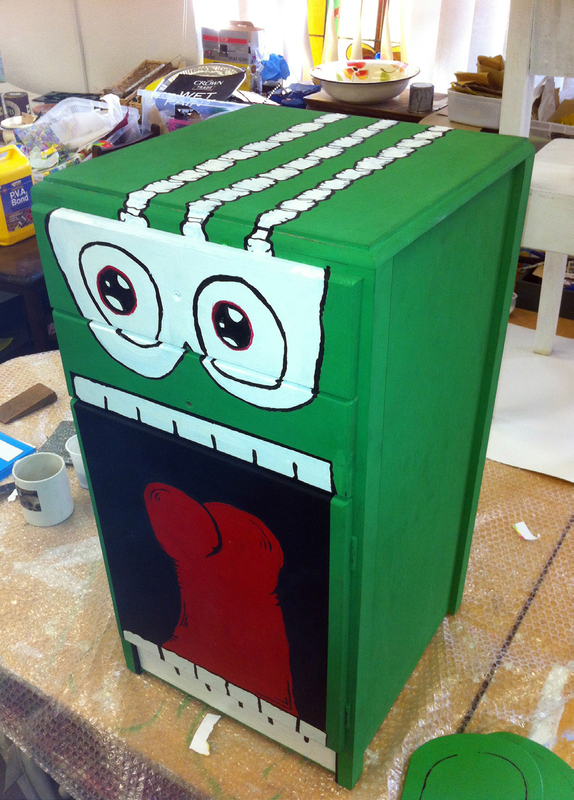 ‘Art Buddies’ – ongoing BCH (Blackpool Coastal Housing) funded person centered creative activities. 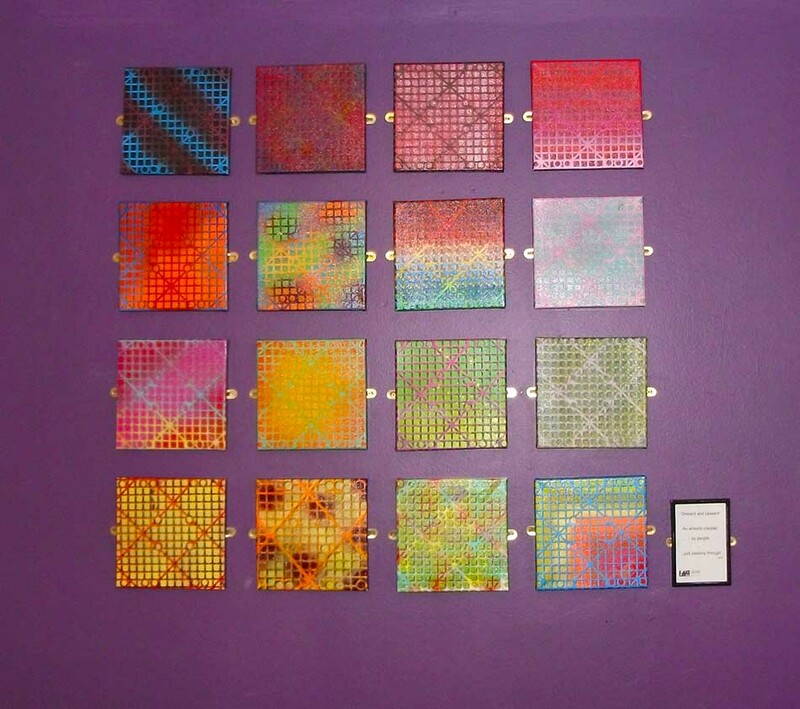 Art work at Gorton Street Hostel created with the residents. Working with the community to design and produce 2 large scale site specific ‘movie posters’ . Incorporating designs and histories of Blackpool linked to the Central area of Blackpool. August 2013 “Contemporary Calligraphy” at Lytham Hall. 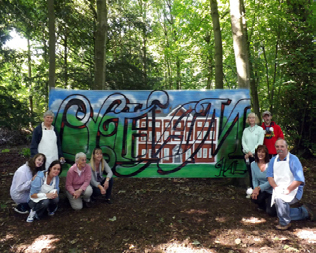 Working with a group of volunteers mostly between the ages of 50 and 70 we created an ephemeral graffiti mural in the grounds of Lytham Hall. After arriving at what the participants thought was going to be a calligraphy workshop everyone was given a brief history of graffiti and an introduction to the tools and processes of graffiti art. We then spent the rest of the day spray painting murals onto cling film stretched between trees in the grounds of the hall. 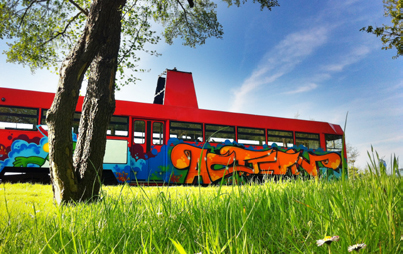 Graffiti art commissioned Blackpool centenary tram ready for its new use as a youth hub. In partnership with Shabby 2 Chic CIC I assisted a 17 year old young man to achieve his Expressive Arts Award. 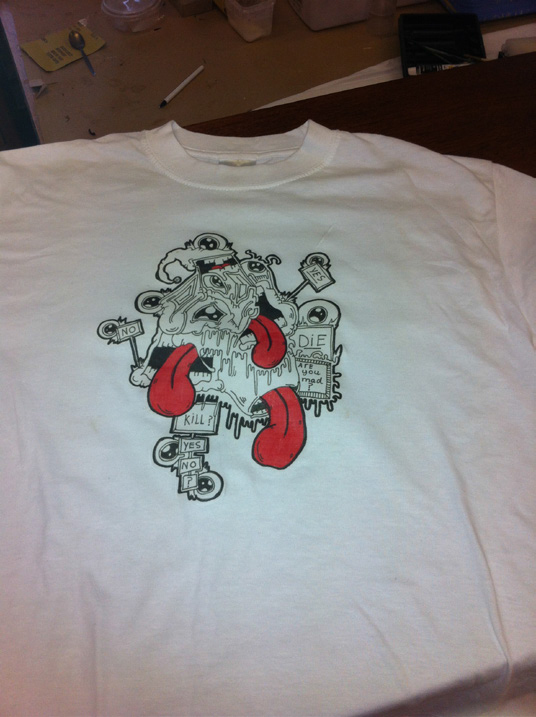 Over the course of 6 weeks we designed and created a custom piece of recycled furniture and printed t-shirts using his own designs. 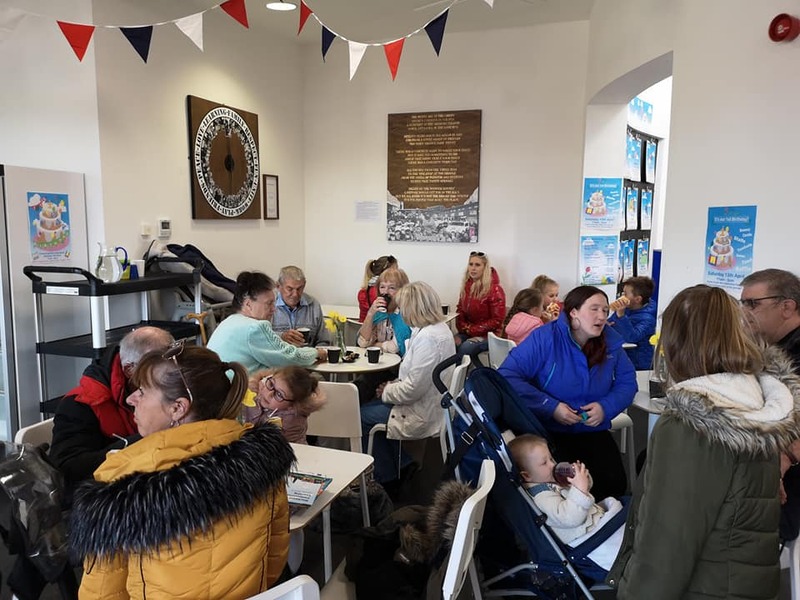 have experience of working in partnership with organisations such as New Revoe Residents Association, Blackpool Borough Council, Young carers, Streetlife, Fylde Youth Service, Blackpool Horizon project and Blackpool Club to Go : delivering, and facilitating numerous community arts projects. Two recent projects I have worked on include – a poster project for Blackpool Art service and Blackpool Grand Theater ‘Breakin’ Convention. I worked in partnership with Boz Phillips on ‘Breakin’ Convention’ where I was the lead artist. As Last Legs we have received funding for a number of project in the Blackpool Central / Revoe areas. Working with community members of all ages. Our most recently successful devised, delivered and funded project is ‘Art Buddies’ – going to the homes of isolated individuals and involving them in creative activities. This project is ongoing.